Law firms in the US are losing profits from overcapacity according to a new survey. The Law Firms in Transition report from law firm consultancy Altman Weil reveals that in over half of all law firms polled partners were not sufficiently busy and in firms with 250 lawyers or more it is a bigger problem. 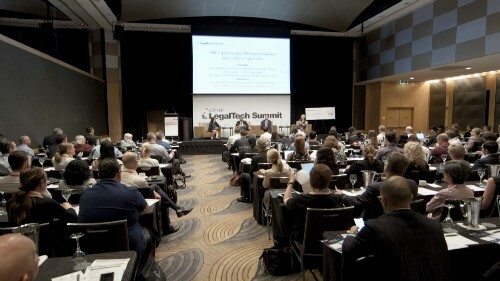 Among other findings; clients are increasingly a law firm’s biggest competitor, taking a larger proportion of work in-house, as reported by 67 per cent of respondents; strategic change has boosted economic performance but few firms are making those changes as “clients aren’t asking for it”; and strong leadership is key to financial performance. Mergers and acquisitions in high growth markets increased in the second half 2014 following growth at the start of the year according to KPMG. The firm’s latest index of HGM M&A shows that there was an 11 per cent rise in deals between developed and high growth markets and Asia-Pacific was a driving force behind the increase. Deals involving Chinese targets rose by 26 per cent and while the US was the largest acquirer of HGM targets its growth was below average. Singapore saw the fastest growth in HGM acquisitions at 51 per cent with Hong Kong (and Germany) just behind on 47 per cent. Singapore also saw a large increase as a target of acquisitions at 80 per cent. Herbert Smith Freehills has appointed three co-heads of its global energy group. Perth’s Rob Merrick is joined by London-based partners Anna Howell, who spent a decade at HSF in Hong Kong, Beijing and Singapore and John Balsdon. Together they succeed Mark Newbery as of May 1, 2015. The Australian Red Cross has recognised Clayton Utz for its work in support of the organization in the Northern Territory. The Humanitarian Award citation honours the law firm’s provision of pro bono legal assistance, volunteer and financial support to various Red Cross NT programs for young people. Over 100 Clayton Utz partners and employees have volunteered with the Red Cross NT's Remote Community Holiday programs to date, which the Clayton Utz Foundation has supported with over $290,000 in grants. Public confidence in the rule of law in Hong Kong faces challenges following recent political unrest in the region according to the chief justice. Demonstrations turned into violence after China suggested that Hong Kong’s judiciary should be patriotic “administrators” but Geoffrey Ma told a Bar Council event that transparency and selection of judges was proof that the legal system in Hong Kong was in keeping with international standards.